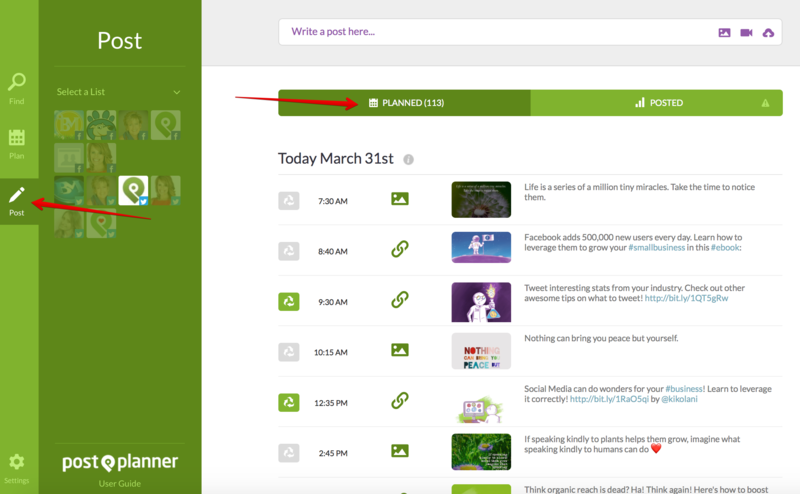 Easy steps to plan your social media content in Post Planner. Want to check up on your scheduled posts? Need to make sure everything is correct and going out at the right time? No problem - look inside your planned posts. Here’s a short video on how to do that. Here's a quick video on filtering planned posts by profile.